Some details about election night coverage plans are beginning to emerge, though the networks are being pretty secretive about further details. 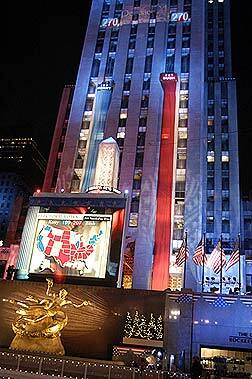 ABC News will be reporting election night results from its Times Square studio. All ABC News programming will originate from the home of “Good Morning America” during the week leading up to election night. ABC will then use the ribbons of tickers and big-screen monitor above the studios to display election results and data. ABC has also rented out signage on the Reuters, Nasdaq and the Hard Rock Cafe buildings to display results. ABC also plans to place reporters in the crowd, interviewing passerby. NBC News’ “Democracy Plaza” is becoming “Election Plaza,” a scaled down version of the 2004 extravaganza (maybe as a result of those NBC Universal budget cuts?). Though the exhibits and other features will be gone, NBC still plans to have an electoral map on the Rockefeller Plaza ice skating rink and the climbing electoral vote banners going up the side of 30 Rock. It’s not clear if the network will place NBC and MSNBC anchors outdoors or in a studio setting, or a combination of both. 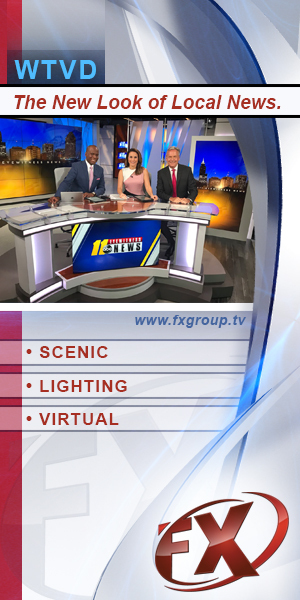 It will be interesting to see how NBC integrates its virtual studio graphics that were used during the primary season. Fox News Channel will be broadcasting its coverage on the former NBC screen in Times Square and is also planning a Webcast outside the network’s studios on the Avenue of the Americas. CBS News has opted to remain at its “Evening News” set that will have some minor modifications, such as adding ceiling-mounted plasma screens as shown during the mid-term election coverage. “Sets don’t matter that much,” CBS VP Paul Friedman told Variety. “What matters is the quality of what people say, how smart they are and how quick they are.” That said, CBS News could, if it chose to follow the trend of the other networks utilizing outdoor locations, to broadcast from the “Early Show” studios in the General Motors Building. The new Apple store in the center of the plaza would make a particularly interesting background and could perhaps be decked out with an electoral map, vote tallies or patriotic decorations and lighting effects. Since it appears ABC will using the Nasdaq signage in Times Square, it’s not clear if CNN will be using the studio below for its coverage; though it seems unlikely. An alternate outdoor location could be the network’s Time Warner Center at Columbus Circle, which also offers the possibility of using the building’s impressive facade to count votes or display data. CNN also has access to its huge rear projection screen up in the CNN newsroom, which offers plenty of space to display data and maps. CNN has confirmed that John King’s touchscreen technology will be back, as well as some additional new features. Stay tuned to the NewscastStudio blog for more on election night coverage plans. We’ll also be providing coverage on the graphics, sets and other production values in use Nov. 4. Meanwhile, if your station needs any last-minute election set ideas, check out this blog post from earlier this year.